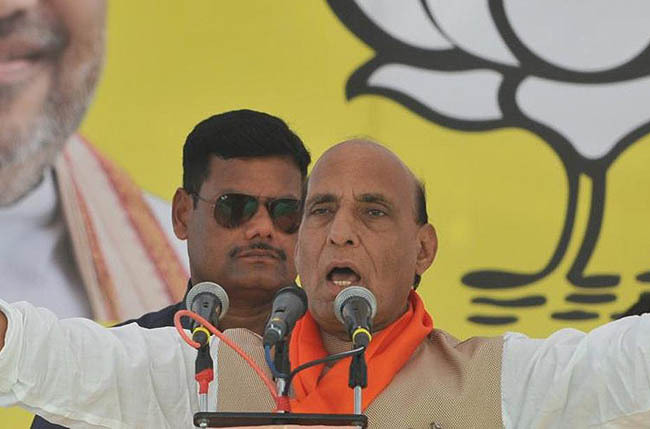 Jammu, April 8 (IANS) Union Home Minister Rajnath Singh said on Monday that the government is left with no option and it will have to scrap Articles 370 and 35A of the Constitution as some people in Jammu and Kashmir are demanding a separate Prime Minister. "One leader says that if the same situation continues (in Jammu and Kashmir), then there will be two Prime Ministers in India. If someone talks about two Prime Ministers, then we also have no option except to abrogate Articles 370 and 35A," Singh told an election rally in Ranbir Singh Pura. The senior BJP leader said he as the Home Minister tried his best to reach out to the people of Kashmir but all efforts went in vain. "I was also ready to hold talks with separatists. But now enough is enough," he said.